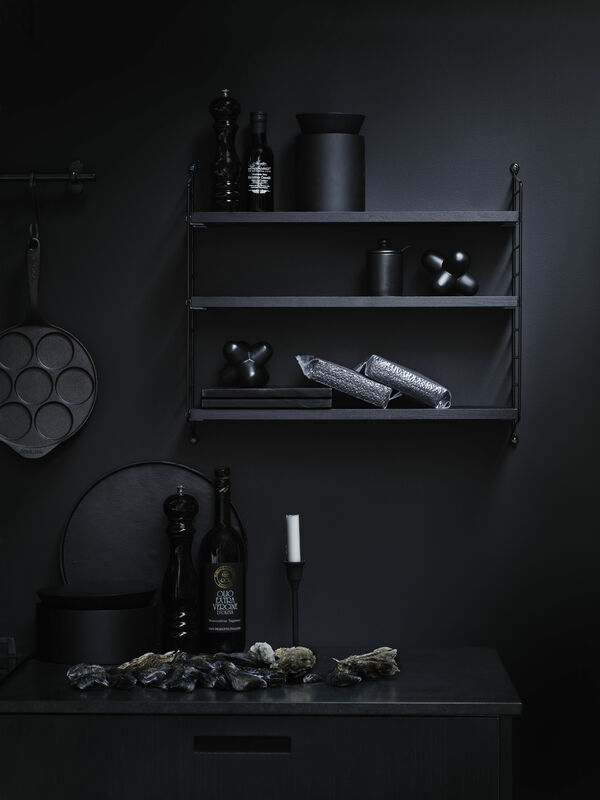 A Scandinavian design icon! 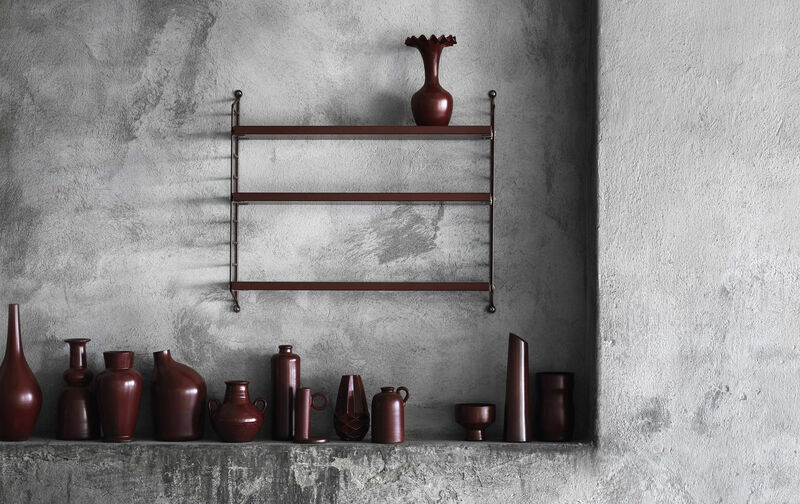 The String shelving system was designed in 1949 by Swedish architect Nils Strinning (1917-2006), a leading figure in Scandinavian design. 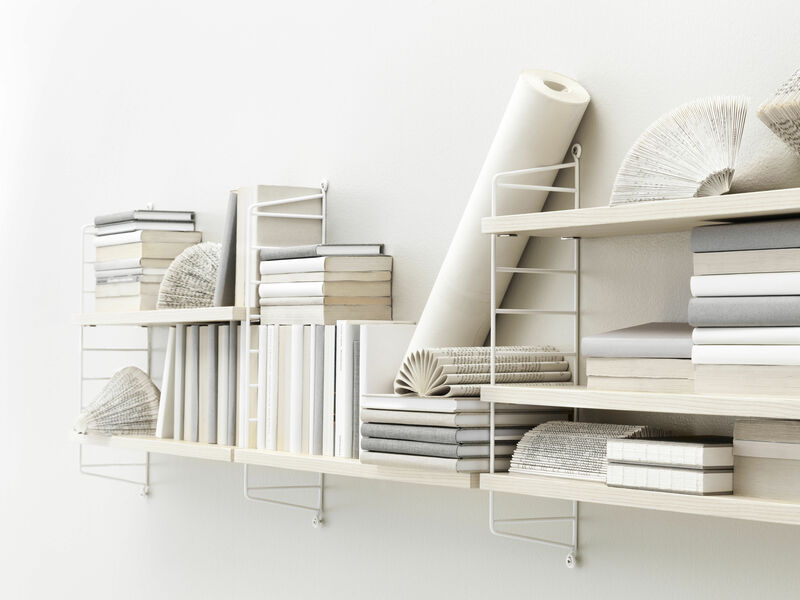 String is a system of modular shelves that can be combined depending on your needs. 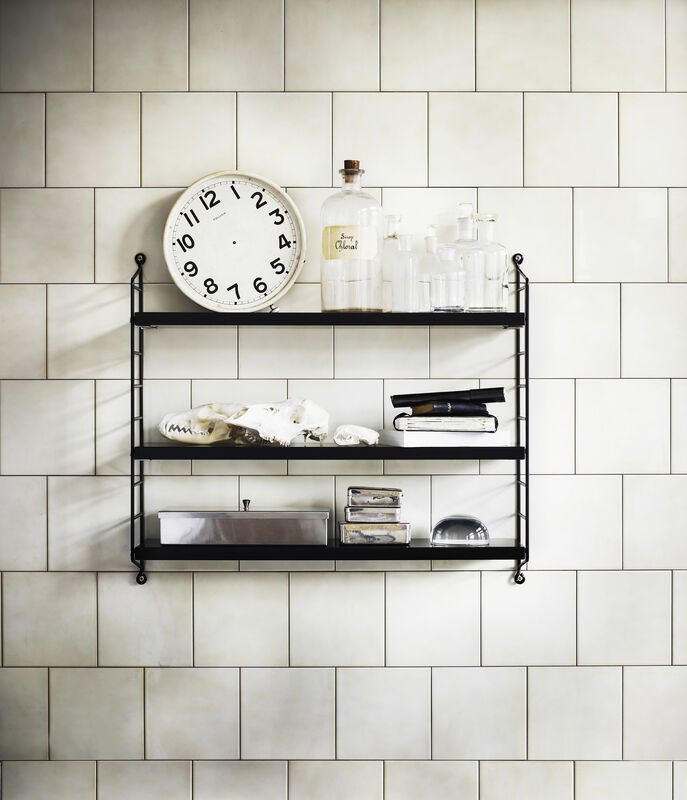 It is light, adaptable and offers a minimalist, timeless design, all of which have made it a Swedish design classic. 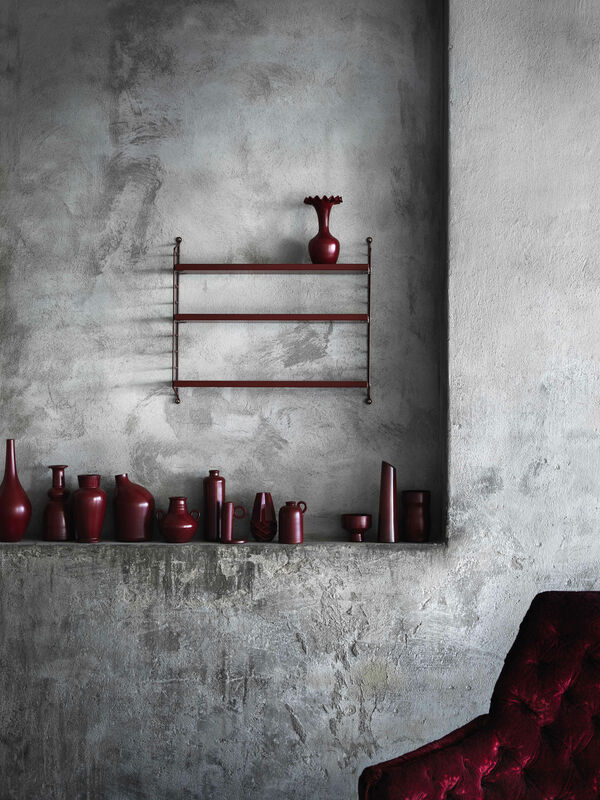 The String shelf is still manufactured in Sweden according to high quality standards. Its design has not changed since 1949. The String Pocket wall shelf can be fully disassembled. 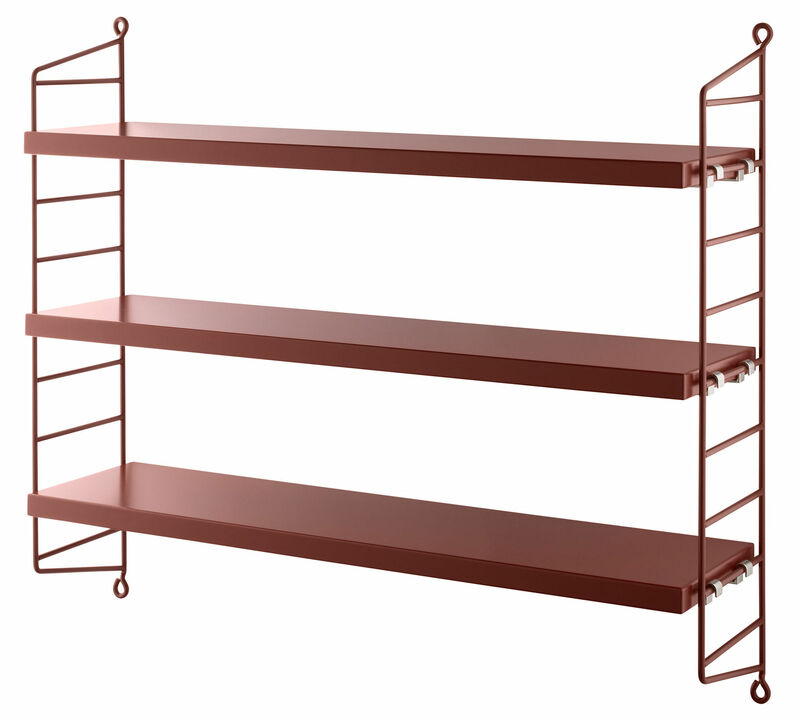 It consists of two uprights made of metal wire into which three height-adjustable shelves are fitted. 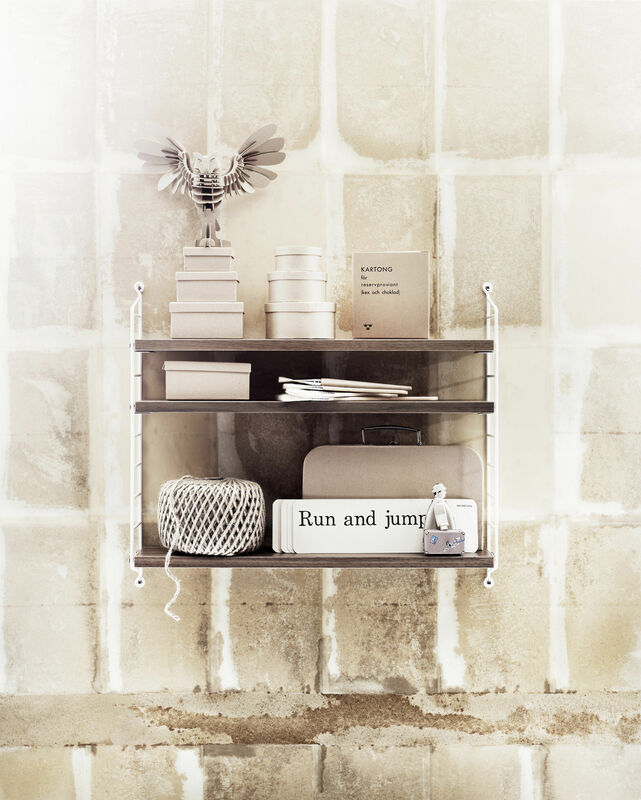 Compact and convenient, you can place it anywhere, entrance, bathrooms, bedrooms or the living room. 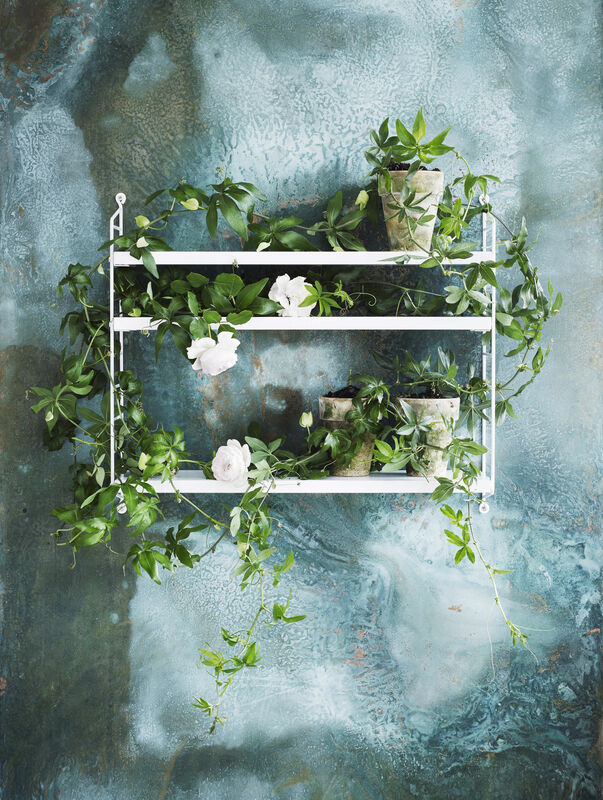 You can also create a graphic composition on your wall by combining several String shelves side by side, vertically or horizontally. 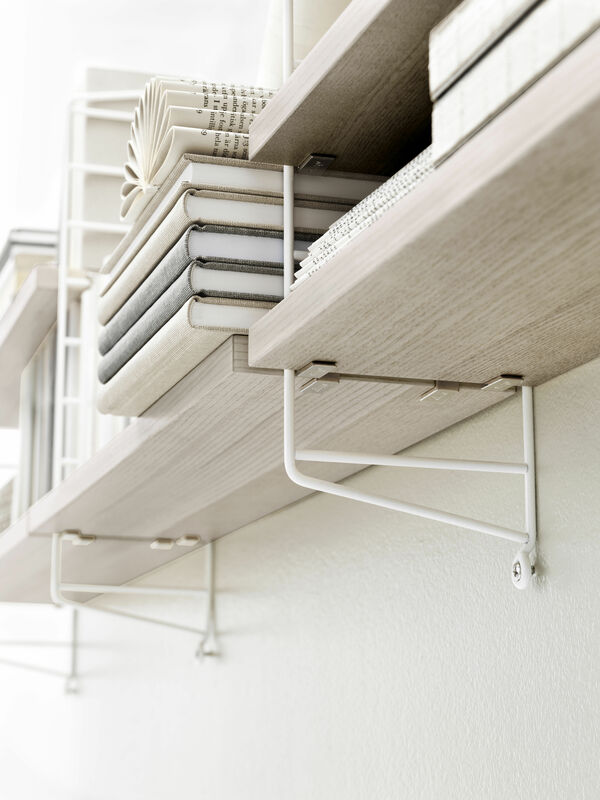 They come in a wide variety of bright or pastel shades, so the String shelves have their place in all types of interior.